The wave is 80m wide, 60m deep, and 15m high. 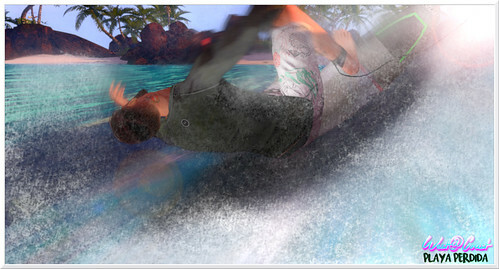 The surfing surface is 3 prims and half of the surfing surface has a “hook” or “roof”. The open half of this wave is a straight up bi-directional launching pad. The gentle slope of the wave is suited for beginners and advanced surfers as well allowing maximum freedom of freestyle type surfboard trickery. Be careful not to get overconfident though because the side without the “hook” means you will swim/surf right over and past the wave if you just swim head on into the wave (just like RL!). The texture of this wave is intense and some have said “mean” looking. Like Waimea in Hawaii, this *IS* considered a BIG wave so its appearance reflects the power of its namesake. This wave is also low lag requiring only 2 scripts per wave. 1. 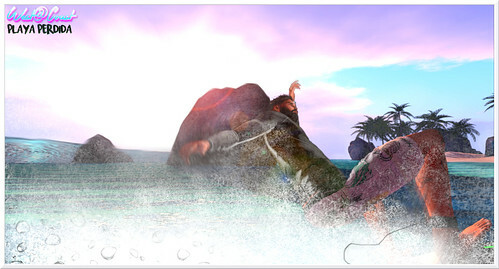 The Open event is open for ALL new surfers and also those ranked below 20th place last season or no rank’s. The Open comp will take place next Saturday, June 11th (11am SLT). It will have it’s own winners. There will be podium, awards, trophies and all the fun stuff. All heat winners will advance to a final heat which will determine that overall event winner, winning prize and trophies. 2. 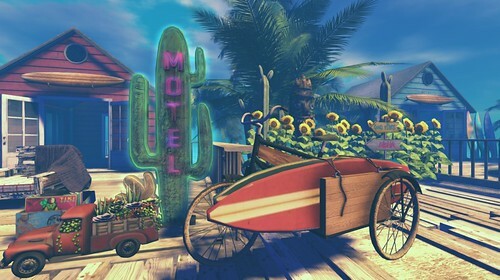 All first and second placing riders from the Open will be automatically qualified to compete in the next stage of the event – Pro one taking place on Saturday,June 18th (11am slt). All registered top 20 ranked in the last season surfers are qualified to sure in that competition, as well as heat winners and runners-up from the Open competition. The Top 2 Open scores that don’t automatically qualify to compete will receive wild cards and will also be invited to compete in the Pro.